For the artist's description and comments, scroll down. A sequence of steadily-smaller squares is placed within the drawing, such that each new square goes into one of the interstitial places between previous squares. This image shows the basic pattern. I have chosen to decorate it with earth tones. I call it "the stoned mason". 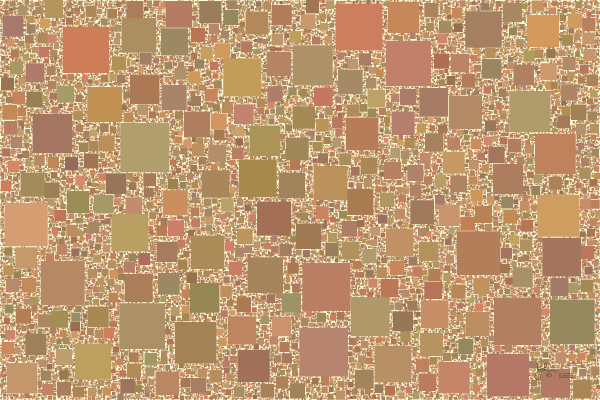 The original has about 16000 squares, all fully resolved. This image has been compressed for internet use and the resolution is much less. To return to the previous page click the browser BACK arrow.